Blaze Portfolio has been blazing a trail in the FinTech community since 2010 with its proprietary Software-as-a-Service (SaaS) platform that provides registered investment advisors, wealth managers, multi-family offices, digital advisors, and industry partners with flexible tax-optimized modeling, cash management, trade compliance, and real-time electronic trading. Blaze Portfolio’s flagship product, Atom Align, is an advanced model-rebalancing and trade-order-management solution for customers and partners, with features such as order creation, streamlined trade management, and electronic trading. 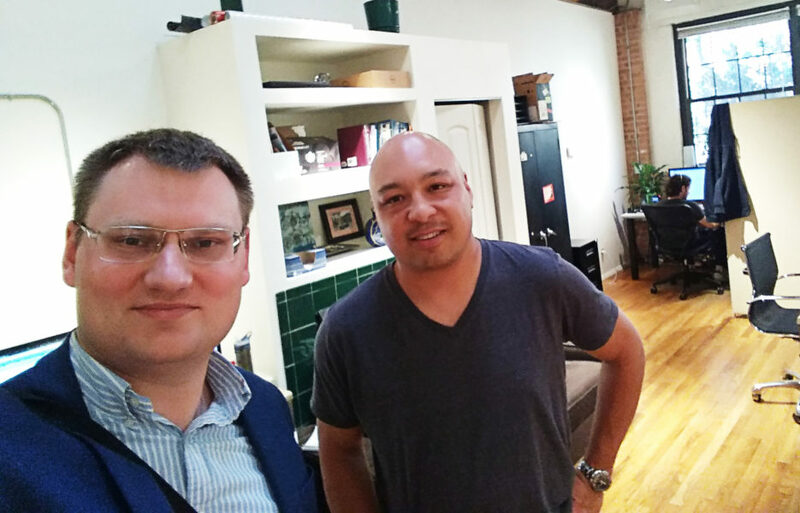 I met up with Bryson Pouw, founder and CEO of Blaze Portfolio, at their office in the heart of Chicago to learn what Blaze Portfolio has been doing for the past eight years, and how they’re going to change the face of financial management. Bryson got his career in the investment industry off to a running start at a brokerage firm. After acquiring his brokerage license, he worked in the investment-management department for a bank that eventually merged with Wells Fargo. In 1999, he went to work for Advent Software, a major firm in the industry at the time. Upon departing Advent, he and a few ex-Advent employees started their own consulting firm, called Fascet, which catered to some of the largest firms, such as SEI, Allianz Global, and many others. The idea for starting Blaze Portfolio came about after one of Bryson’s clients asked him to build a fancy spreadsheet that did trading. Bryson did that, and much more. In 2010, the first version of Blaze Portfolio was launched; it was designed to handle both investment model rebalancing and order management and electronic trading. Bryson outlined a number of trends he sees in the current landscape of the FinTech industry. One trend is that companies are starting to look at rebalancing software as the central component of their technology stack. The central WealthTech component has historically been the CRM and more recently financial-planning tools, but the future advisor technology stack will be built around a rebalancing platform. Bryson identified the continuous monitoring of accounts, tax optimization, and the alignment to long term financial goals as ways to demonstrate value to clients and use rebalancing as the FinTech backbone—as key aspects of this trend. The second trend is moving away from bundled software solutions requiring all-in-one accounting, CRM, and trading. The last major trend on Bryson’s radar is the hybridization of the digital world with human advisors. He believes that in the future there will be a wide range of different solutions, from purely digital to purely manual. Blaze Portfolio happens to be in a niche with clients from different ends of the spectrum. Blaze Portfolio has multi-family office clients that are ultra-high-net-worth individuals who methodically analyze every account one by one. Apart from that segment, the company also has digital advisors that use the platform to process all of their transactions, and analyze those transactions in a very scalable way across thousands of accounts. According to its monthly figures, Blaze Portfolio averages over $2.5 billion in electronic trading per month, with about 350,000 allocations a month, which corresponds to the number of accounts executing orders. Most of Blaze Portfolio’s clients are acquired through partners, custodians, and industry connections. Bryson and his team continuously work to engage new clients through their blog, content stream, and other web-based social activities. The core of the platform is rebalancing and trading. Bryson explains that Blaze Portfolio also includes aspects of portfolio management. Advisors can monitor and view their holdings at any one point at time, intraday. Blaze Portfolio has successfully integrated with dozens of companies and platforms. On the trading side, they currently trade with over 50 different executing brokers and custodians. These include Schwab, Fidelity, Pershing, and TD Ameritrade. Apart from these four giants, they also work with Merrill Lynch, Goldman Sachs, Susquehanna, and Bloomberg. Bryson points out that Blaze Portfolio has a wide asset coverage, including equities and exchange-traded funds, and also trades mutual funds with their four aforementioned main custodians. In terms of portfolio accounting and reporting, Blaze Portfolio is integrated with Advent products such as Black Diamond, Axys, APX, and Orion, Addepar. The long list of 15–20 different account systems Blaze Portfolio uses to pull data also includes PCR and Clearwater. Blaze Portfolio has its own API, allowing the platform to be integrated with practically any existing solution or company. They released their first API in 2013; at the time, few firms were doing anything with APIs, so it was for the most part unused. Bryson remarks that his company is in the process of fully revamping their API infrastructure, and plan on releasing a full set of API capabilities by the end of 2018 so that technology-savvy firms can take advantage of those API features. Blaze Portfolio provides a variety of different types of rebalancing. They offer sleeve-level rebalancing, where advisors can have multiple strategies in a single model; another option is the ability to have multiple tiers, so advisors can go down as many levels as they want, essentially having models of models. The Blaze Portfolio ruleset is a potent part of their modeling concept. There are rules on compliance, pre-trade compliance, security equivalents, tax optimization, and location optimization. Bryson said that the platform is also able to monitor drift. This, and the ability to generate orders in many different ways, was included specifically to provide a scalable and streamlined way of managing orders for both small and large organizations. Blaze Portfolio uses a predominantly Microsoft stack. It’s a sophisticated web-based application written in .NET with SQL Server on the backend, developed in C#. At the frontend, Blaze Portfolio has undertaken a major makeover to the UI, with HTML5 and React or Angular. The soon-to-be released UI update will pair HTML5 with the new API capabilities for even faster, real-time trading. The release is planned for the end of 2018. The tight-knit team of 20 employees at Blaze Portfolio is involved in almost all stages of the development process. Bryson employs front- and back-end developers, a QA team, a project manager, and a system architect. Blaze Portfolio’s support team is responsible for writing up and sometimes identifying bug fixes. They also test all the new releases and fixes, notifying clients that have reported or encountered issues. The system architect is responsible for overseeing the bigger initiatives, while the project manager manages day-to-day tasks and goals. Unlike its competitors, Blaze Portfolio releases updates every six weeks. This fast and frequent rollout is a way to ensure that inherent risks, such as security issues, are mitigated quickly. Security issues are prioritized above all. Blaze Portfolio is passionate about user experience. Their motto is the more intuitive the platform, the fewer support calls there will be. Bryson says this came from his dad, an architect, who was always very focused on design. It’s important for software developers to understand how to implement things from a tech point of view, and just as important for them to see how this is applied in the respective business domain. Bryson personally developed training materials that he uses with his developers. With his strong finance background of over 20 years he can distill the most pertinent information so that developers can understand the industry better. Additionally, developers need to have an understanding of the institutions that make up the industry, such as custodians, brokers, and settlement experts. Blaze Portfolio recently rebuilt their entire backend. The main reason Bryson and team went the route of reengineering is fairly simple—they needed the capability to process mountains of data for a real-time experience. Bryson said that these issues with scaling weren’t taken into account from the beginning. Now, the platform fully utilizes asynchronous processing, which allows it to process large amounts of data. By Bryson’s reckoning, the biggest challenges going forward will be managing growth. Over the years the company has grown in spurts, and certain fiscal years have brought in more clients, which forced the Blaze Portfolio team to delay implementations to make sure clients were getting the right level of service. Bryson reiterated the focus on user experience, explaining that they are always looking for good people to support their clients. The pace of technological advancement is another driving force for rapid change. This is why most tech companies grow at the pace they do, to stay ahead of the pack and release new features to enhance the product. Bryson plans to provide better analytics and dashboards so advisors can learn more about their existing clients to optimize their workflows. Blaze Portfolio has been around the block and back. They were pioneers in providing APIs when tech firms were in the dark on how to use them. Today, Bryson Pouw and his team remain at the forefront of change. Blaze Portfolio is an efficient portfolio-rebalancing and trading technology for investment professionals, and, thanks to the hard work of the Blaze Portfolio team, the platform is among the top in its class.